Personality: Claec is a rather odd and complicated individual. To the general public, he looks like an apathetic youth with no real reason to continue to live. This seems to concern most, until he becomes rude and tells them off. It's a habit of his to hold two different attitudes towards people, the most visible being his public image. He's rude, cold, uncaring, silent, thoughtful, and wise at times. But as stated previously, this is only a public image to avoid being given too much attention. Once someone truly begins to know him, they can learn to see right through this act. In reality, he's best described as a sad child grieving over the loss of his family, and a bit of a rebel. He can be very caring, loving, and protective of his loved ones, which is unusual but seems to make them happy. Appearance: For the most part, Claec dresses in all black. He sports a dark blue t-shirt with a somewhat long neck and over it a black leather jacket with long coat tails and stitch like metal on the ends of the sleeves. One his lower body he wears black jeans with the same stitch like design from his coat on his thighs. held up but a dark silver colored studded belt with an odd diamond shaped buckle on it and small chain links hanging under it. 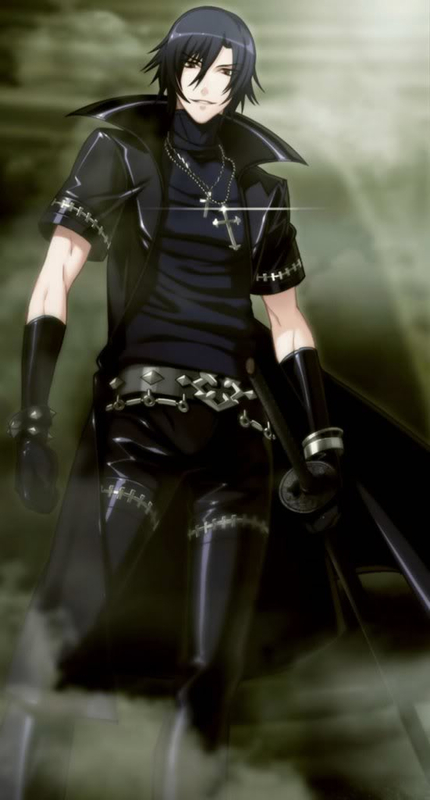 His shoes are black leather combat boots with buckles on them, and are usually kept hidden by his pant sleeves.. On his hands are black leather gloves that reach to about his elbow, and 2 bracelets on each wrist. On his right are 2 simple silver bracelets, and on his left 2 leather studded bracelets. He also contains 2 necklaces, both crosses, one larger than the other. Weapon Type: A nihonto style sword crafted long ago by Muramasa. 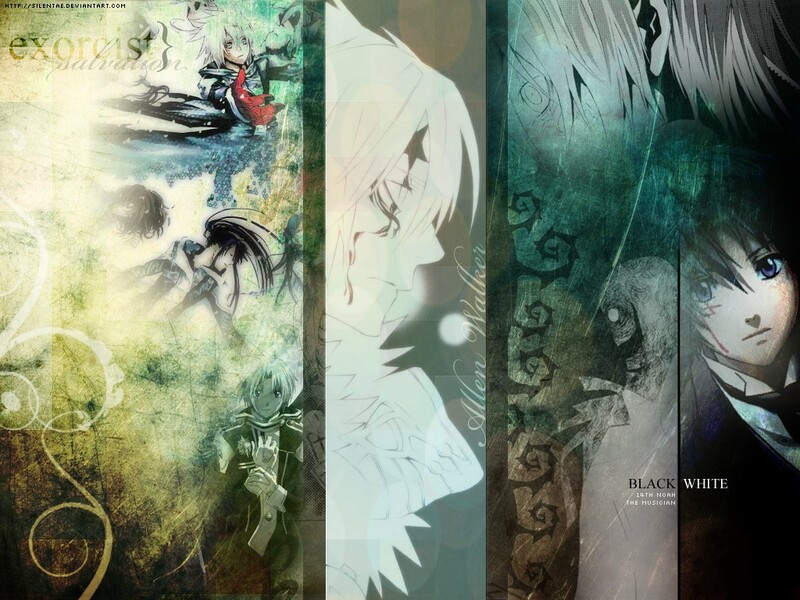 As all swords created by Muramasa, it is a cursed blade that has caused thousands to lose their lives to it. The swords name is Vastator, latin for "The Devastating." Weapon Appearance:he sword itself is like any other. Slim and sharp. The hilt is pure black along with the hand guard, and the sheathe. For the most part he carries it in his left hand, but will occasionally place it on his belt to make it easier to carry. - Soul Eater Drive: All attacks performed while using energy are infested with Soul eater, a poison like effect that drains the enemy of power, while restoring some in the user. Most of his techniques use this custom form of energy. - Evil Shades: The user surrounds himself with a seal that spins around his waist. A second seal forms below them and follows them as they move. If an enemy is in the seal for too long, small shadow like beings appear and attach to the enemy, slowing them down as they painfully begin to zap them of their energy. This move isn't used often, however, as it takes a bit to get the seal set up. - Destroyers Grip: Using the swords power, the user can deploy tendrils to launch from within their shadow. They are only limited by the amount of light, and imagination. These tendrils are very resistant to cutting, and can cause a lot of trouble for close combat fighters. Innocence Location: His sword contains the innocence at the grip. was only young, and had him several years later. As the first born, he received allot of attention. One day, as his father and him strolled through the park, he caught sight of a small bunny hopping away. Curious to know where it was going, he followed after it. As he followed after the fluffy white bunny, he couldn't help but feel as if something was about to happen. With this in mind he turned around and only aught a glimpse of his fathers form being struck by a train. It came as a great shock to him, and drove him to tears. After a few hours of intensive treatment, his father had died, but he refused to accept it and clung to his cold mangled body. It only grew worse when his mother found out, as he was shunned and forced to go a time without food, or clean clothes. His mother had had a severe break down, and gone into even greater shock at the loss of her husband. Unknowing of what to do, Claec found himself crying outside on the porch, when he was approached by a strange man known as the Millennium Earl. While the two spoke, the Earl offered Claec a chance to revive his father, but before he could accept, his mother had instead. The earl laughed at this and agreed to revive her husband and his father. During the "revival," Claec was forced to watch as his mother was possessed and screamed in agonizing pain, something he still hears to this day, and give birth to his sister. Unwanting of her to hurt his beloved new sister, he took her and embraced her protectively, crying as his mother shouted and yelled for them to be gone. He never saw his mother again, and ended up being adopted by an elderly women, along with his little sister. Depression hit hard after that. He was only about 3 when he started having nightmares of his mother showing up at night with their father, and being brutally murdered at their hands. It only grew worse over time as he began to grow scared at cry at night. He ended up relying heavily on his younger sister. Five years after the birth of his sister, they were off playing at the war ruins when it finally occurred. Out of the blue, his sister grew a canon for an arm, and fired upon him. Luckily, he evaded. Aemi ran away then, but he was too scarred to run after her. Only several minutes later, he had run off to find her, but instead found she was being taken away by the Exorcist. Not much time passed before their care taker passed away, and he was abandoned once more. Luckily, he would receive the first stroke of luck in his entire life. Not long before his family had been ripped apart, he found himself coming across a dojo where Samurai trained. He wandered in longing for shelter, and stopped instead to watch them train. The master of the Dojo watched as he did, feeling as if he had waited for him to arrive. After confronting Claec, he convinced him to stay, which marked the beginning of a new life. Here, he spent the first year as a chore boy, doing house hold chores that he was capable of performing, such as cleaning and polishing swords. Soon, he had learned the basics and had even learned to sharpen and maintain a sword. It wasn't long before he was offered to start training, which he great fully accepted. He spent the next years of his life in this dojo, training in the art of the sword vigorously. Once he had turned 10, he was to meet an exorcist for the second time in his life. This time, however, they were there to find a person to wield an weapon infused with innocence. After discussing it with the Dojo Master, they were turned down but shown around anyway. Luckily, they had left the weapon in the Master's meeting room. After wandering in, Claec caught sight of the case and curiously walked over to see what it was. After opening it, he found a beautiful sword, seeming to have been crafted by the gods themselves. Unable to resist wielding it, he took hold of the handle and found himself being over powered by the sword itself. It became heavy, and caused him great agony as the Innocence began to try and merge with his soul. It wasn't soon before the Exorcists had returned and found him screaming in agony, at the mercy of the weapon. Shockingly, he survived and only passed out. Unable to comprehend this phenomena, the Dojo master allowed them to take him, and they did just that. When he next awakened, a week later, he was inside the head quarters of the Asiatic branch of the Black order. It wasn't long, then, before he was undergoing odd tests of wits and intelligence. he passed all with high scores, and was admitted to train to become an exorcist. He didn't resist or protest, and instead underwent the training. It wasn't soon after until he was told that his sister had been their, but was residing in the European branch. But in order to get there, he was going to have to become stronger and apply for a transfer there. It was then made his resolve to grow strong enough to obtain this. Years passed, and on his 18th birthday he was finally transferred to the European branch. However, he was admitted under an alias as a request of his. The other members there, besides the leader, do not know him as Claec, but as Destroyer. So far, he has yet to speak to anyone, or even speak to his sister. But he intends to, when the time is right.